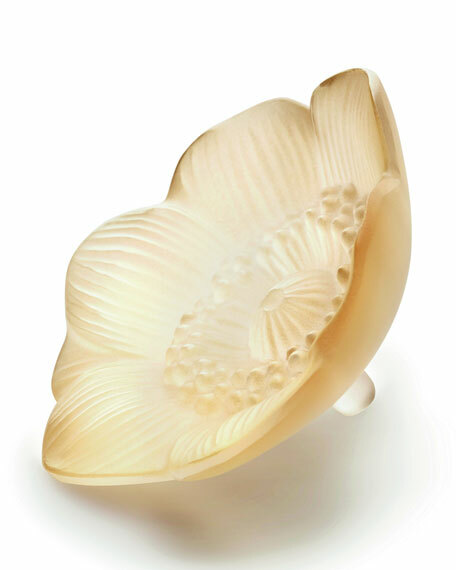 Scaled-down interpretation of Rene Lalique's original anemone flower object. Handcrafted flower sculpture. Porcelain with 18-kt. 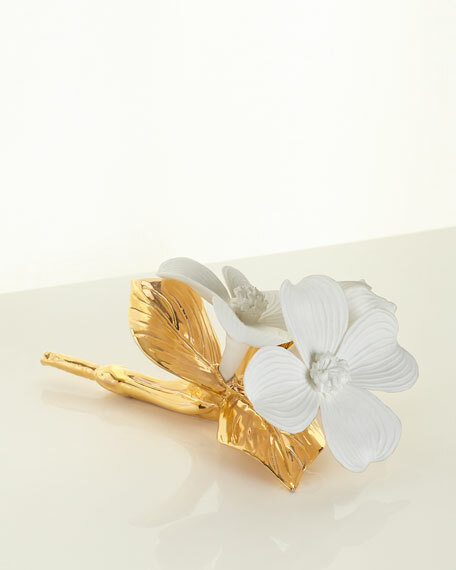 gold finish on stem and leaves. 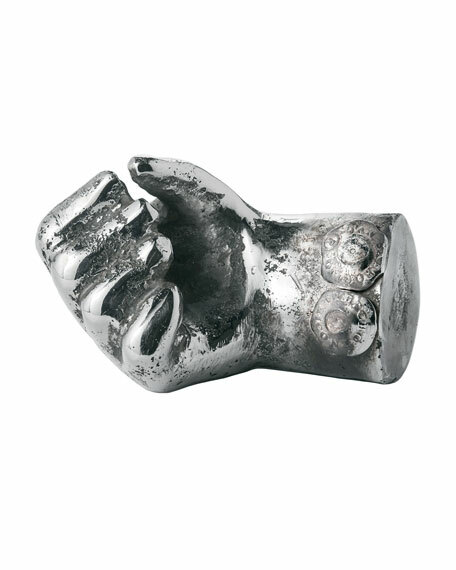 Approximately 6.75"W x 3"D x 4.75"T. Imported. 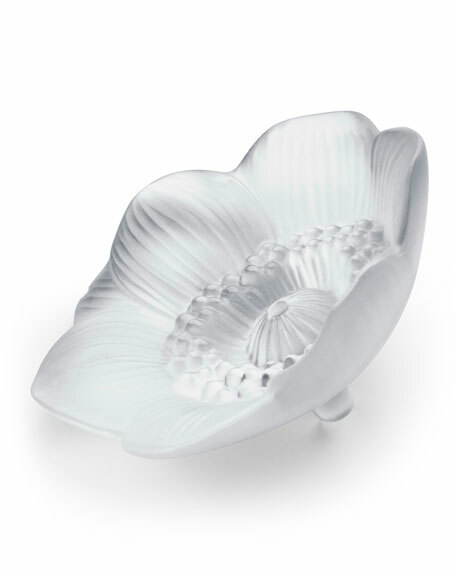 Originally designed by Rene Lalique in 1931. 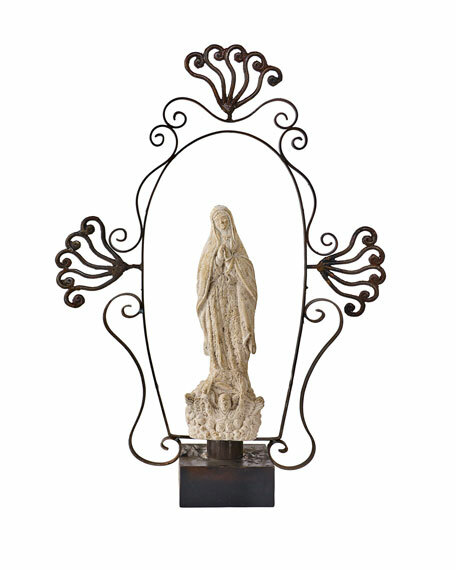 Accent piece represents purity and innocence. Crystal. Approximately 2.25"Dia. Made in France.